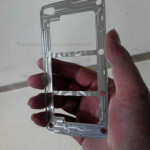 First we heard that Samsung was in talks with suppliers for a metallic Galaxy S 5 to launch in 2014. Then it seemed like they would just opt for the faux leather back of the Galaxy Note 3. 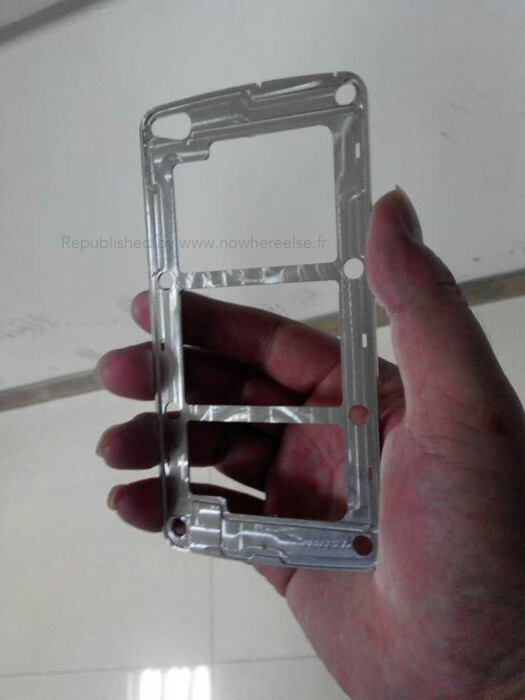 But courtesy of Nowhereelse.fr, we have a look at what would be metallic casing for the GS5. 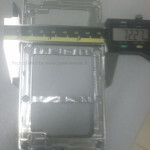 The images were taken by a subcontractor that Samsung hired for the job. Now there are a few things that indicate this could all just be your usual fly-by leak that develops into nothing. 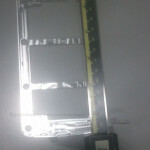 The slot for the camera has been shifted to the left, but Samsung tends to leave them in the middle of their devices. Also, the headphone jack is on the bottom, something new for them as well. And there does not seem to be enough room for a USB 3.0 port that is likely to be utilized given its appearance on the Galaxy Note 3. 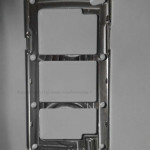 Even if this isn’t the actual casing for Samsung’s 2014 flagship, we sure hope it is metal because everyone is just about done with the fingerprint-friendly plastic from the GS4. Hit the break for the full gallery.